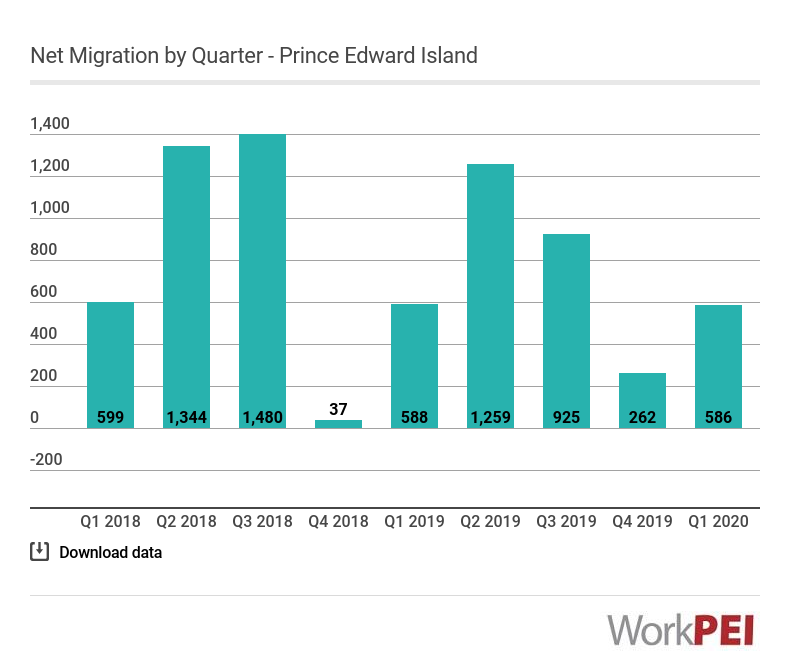 In the fourth quarter of 2018, net migration into Prince Edward Island totaled 0, compared with a net inflow of 54 in the same quarter of 2017. 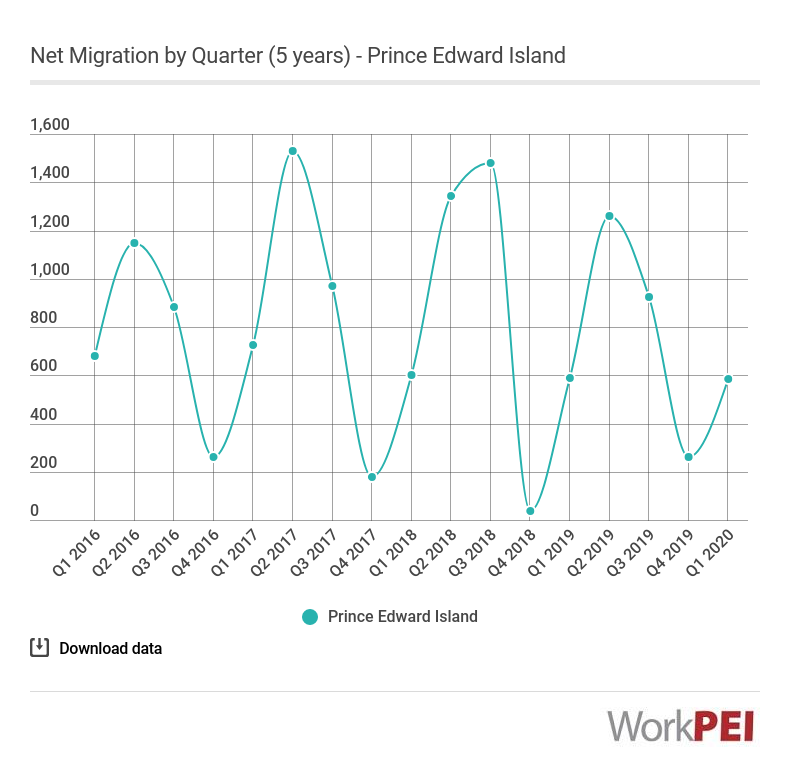 Net inter-provincial migration into Prince Edward Island was a loss 104 in the fourth quarter of 2018, up from a loss of 213 persons a year earlier. Net international migration was 104 in the fourth quarter of 2018, down 163 persons from the same quarter in 2017. 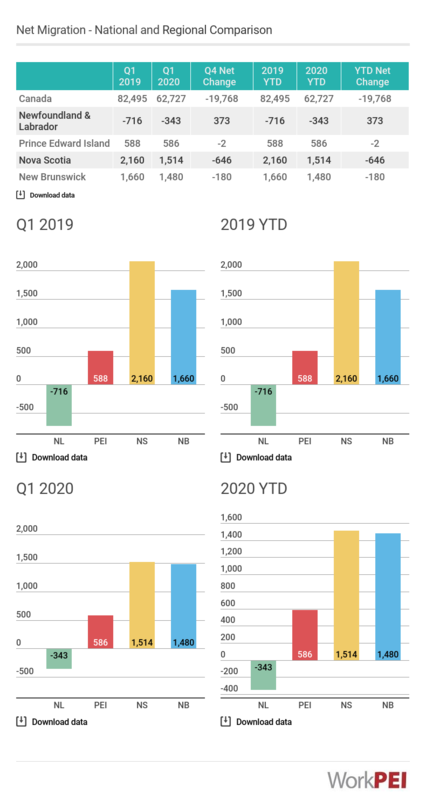 Adapted from Statistics Canada, Tables 17-10-0020-01 (Interprovincial migrants, Canada, provinces and territories) and 17-10-0040-01 (International migration components, Canada, provinces and territories). This does not constitute an endorsement by Statistics Canada of this product.